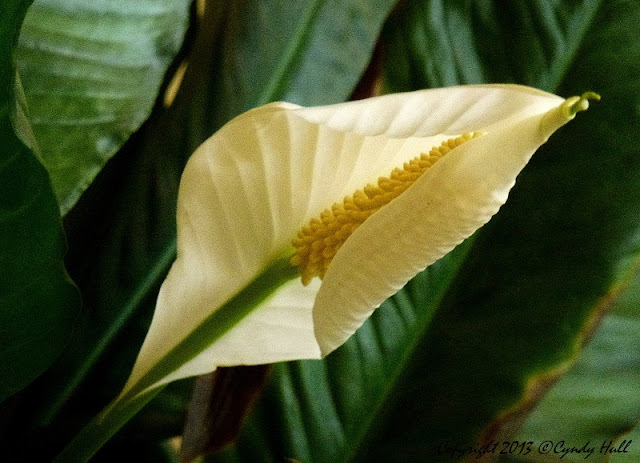 Several blooms ago, I noticed the texture imprints on unfurling petals of our office peace lily. It's become one of those quirky things that, once noticed, cannot be passed by unobserved. This reminds me of difficult truths realized of our selves - once you see something for what it really is, you can't not know it, but can only choose how it will enlarge your life - or not. And perhaps it's the courageous embracing of truth that imprints texture upon our very being, enhancing our character and broadening our conversation? Ah, the details. I love this photo. Good job, as always. I'm a huge fan!! Glad you're enjoying! I've heard it said that life is in the details. Zig Ziglar said, "Success is in the details."